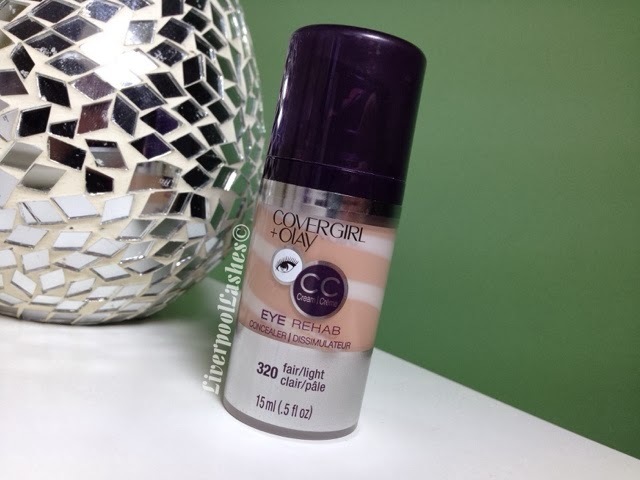 Today's post is all about the Covergirl Olay Eye Rehab Concealer that I purchased on a whim whilst over the in States. To be honest I just wanted to dip my toe into the Covergirl world as we don't have the opportunity here. I was also keen to try this particular range as it is partnered with Olay, so I figured it would be amazingly hydrating for my under eye area. This concealer has a pump which I appreciate for ease of use. The liquid itself seems almost whipped, however when I pat it between my fingers it seems to then changes to a fairly thin consistency which I feel only provides a light coverage. On a positive note it does seem to hydrate my undereye and definitely did not have a cakey appearance throughout the day. The bottom line is... I love the idea of this product in theory. Unfortunately I have pretty bad dark circles and for that reason it just isn't cutting the mustard. For someone with only slight dark circles I do think this would be great for but not me. It's a shame because I really wanted to love it as I love the concept and the hydration.